Kim Yong-Ik, Installation view, I believe my works are still valid, Spike Island (2017) Courtesy the artist and Kukje Gallery. Photography by Stuart Whipps. 국제갤러리의 김용익은 영국 런던의 주영한국문화원과 브리스톨의 스파이크 아일랜드에서 유럽에서의 첫 개인전을 개최한다. 본 전시는 주영한국문화원이 2014년부터 한국 중견 작가를 지원하기 위해 개최해 온 ‘올해의 작가’ 전의 일환으로, 올해는 ‘2017-18 한영 상호교류의 해’를 맞이하여 실험적인 현대미술을 소개하는 기관으로 인지도 있는 미술기관인 스파이크 아일랜드와 공동으로 마련되었다. 주영한국문화원은 2017 올해의 작가’로 1970년대의 모더니즘부터 80, 90년대의 개념미술, 민중미술, 공공미술 등 한국 미술의 주요 흐름을 거쳐오는 가운데 독자적인 위치를 고수해 온 김용익을 선정하였다. 9월 26일부터 11월 4일까지 주영한국문화원에서는 전시 공간을 캔버스로 상정하여 구상한 김용익의 새로운 장소 특정적 설치작품을 선보인다. 이어 9월 30일부터 열리는 스파이크 아일랜드의 전시에서는 김용익이 1970년대부터 현재까지 전개해 온 회화, 드로잉, 설치 작품들을 회고전의 형식으로 보여줄 예정이다. 10월 3일에는 주영한국문화원에서 김용익과 양혜규의 대담이 개최되어 김용익이 다음 세대의 현대미술작가들에게 끼친 영향에 대해 이야기를 나눈다. Kim Yong-Ik is featured in his first solo exhibition in Europe jointly presented by Spike Island in Bristol and the Korean Cultural Centre UK in London. The show is the 4th edition of the KCCUK’s ‘Artist of the Year’ exhibition, which was established in 2014 to highlight the practice of seminal artists of Korean contemporary art. As part of the ‘UK/Korea 2017–18’ season, this year’s iteration is co-organized with Spike Island, a prominent arts institution that introduces experimental contemporary art. The KCCUK has selected Kim Yong-Ik as the ‘2017 Artist of the Year,’ celebrating the artist’s pioneering oeuvre that has evolved alongside, while maintaining an individual stance amidst, the major currents of Korean art history, including the Dansaekhwa generation of the 1970s and conceptual art, Minjung art, and public art of the 1980s and 1990s. From September 26 to November 4, 2017, the KCCUK presents new site-specific installations that envisage the exhibition space as a canvas in and of itself. 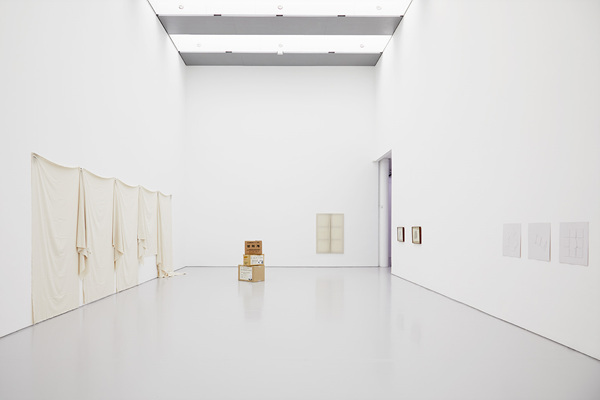 The counterpart exhibition at Spike Island, open from September 30, surveys a selection of drawings, paintings and installations from the 1970s onwards in the form of retrospective. A discussion between Kim Yong-Ik and Haegue Yang will take place on October 3 at the KCCUK on Kim’s legacy and its impact on subsequent generations of contemporary artists. 줄리안 오피는 ‘한-영상호교류의 해’를 맞이하여 경기도 수원시립아이파크미술관에서 9월 28일부터 2018년 1월 21일까지 개인전 <줄리안 오피Julian Opie>를 개최한다. 국내 국·공립미술관에서 처음 개최되는 줄리안 오피의 개인전은 수원시립아이파크미술관 개관 2주년을 기념해 기획되었다. 한국의 일상적인 군상을 표현한 <워킹 인 사당동 인 더 레인(Walking in Sadangdong in The Rain>(2014) 시리즈 등 대표작을 비롯해, 작가가 머물렀던 도시 이미지의 기억을 담아 낸 <타워2(Tower.2)>(2017)와 미술관 전면 유리에 설치되는 걸어가는 사람 이미지 LED 패널 신작까지 총 70 여점이 전시될 예정이다. 이번 전시는 작가의 본격적인 활동 기간부터 최근까지의 대표 작품들을 시리즈별로 전개해 보여주면서 조각과 회화의 영역을 폭넓게 아우르며 현대적이고 동시대적인 작품을 보여주는 줄리안 오피의 예술 세계를 만나보는 기회가 될 것이다. 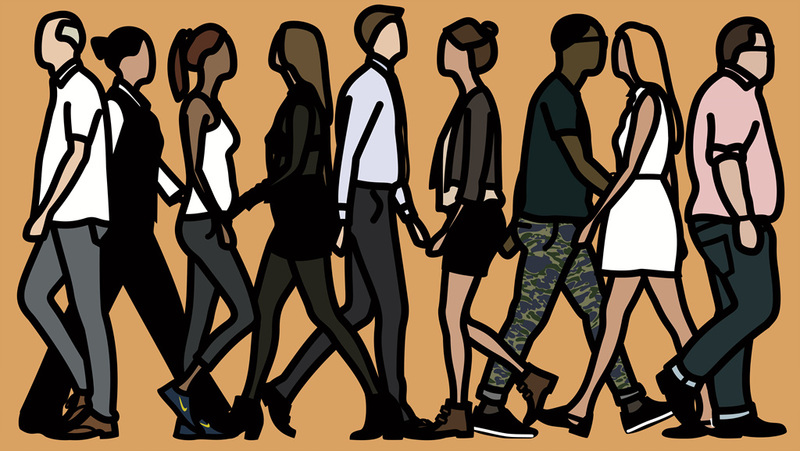 In celebration of ‘UK/Korea 2017-18,’ Julian Opie is featured in a solo exhibition titled Julian Opie from September 28 to January 21, 2018, at the Suwon iPark Museum of Art (hereafter SIMA) in Gyeonggi-do, Korea. Opie’s first institutional solo exhibition in Korea is organized in commemoration of the second anniversary of SIMA. The installation will present the artist’s notable works including Walking in Sadangdong in The Rain (2014), which depicts the everyday scenery of Korea, and Tower.2 (2017), which Opie created in memory a city he once lived in. A total of 70 works are on display, including a series of new LED panels of people walking installed along the windows at the façade of the museum. 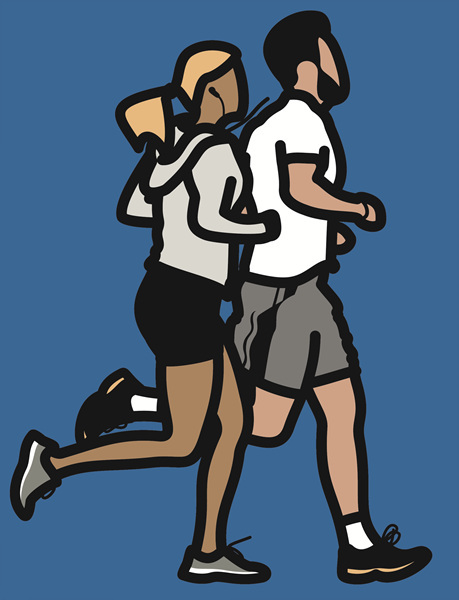 This exhibition traces the trajectory of Julian Opie’s career by presenting the artist’s representative bodies of work in chronological order by series, providing an opportunity to explore Julian Opie's versatile practice of contemporary art that expands on the traditional mediums of painting and sculpture. 제니 홀저는 영국 옥스퍼드셔 우드스톡에 있는 18세기 대저택 블레넘 궁전 (Blenheim Palace)에서 12월 31일까지 개인전 《SOFTER: Jenny Holzer at Blenheim Palace》을 개최한다. 1987년 유네스코 세계문화유산으로 지정된 블레넘 궁전은 1704년 블레넘 전투에서 승리를 거둔 존 처칠(John Churchill, 말버러 대공)의 공로를 기리기 위해 세워졌으며 윈스턴 처칠의 출생지로도 잘 알려져 있다. 블레넘 문화재단 (Blenheim Art Foundation)이 공간을 활용하여 전시를 개최하고 있으며 네 번째 현대미술작가로 제니 홀저가 초대되었다. 텍스트를 기반으로 정치, 사회적 이슈를 다루는 개념 작업을 선보는 작가는 이번 개인전에서 블레넘 궁전이 가지고 있는 군사적, 정치적인 역사에 착안하여 전쟁이라는 보편적인 주제를 다루는 작품들을 선보인다. 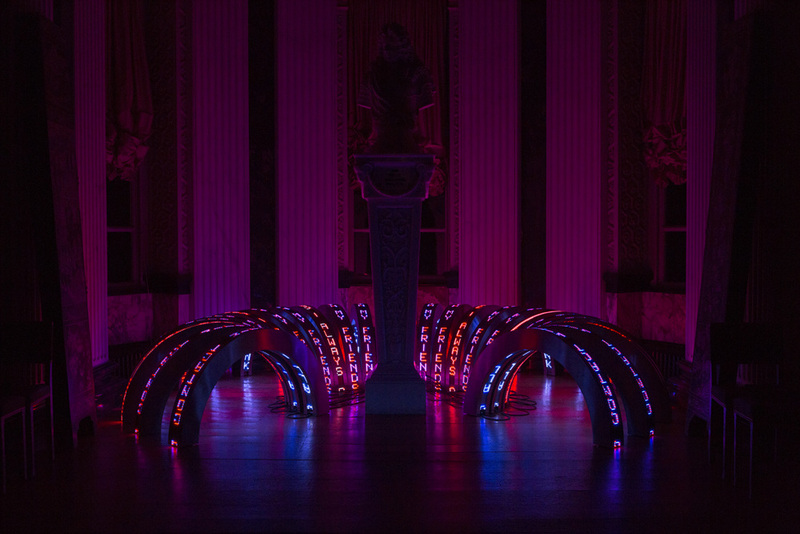 Jenny Holzer is featured in a solo exhibition titled SOFTER: Jenny Holzer at Blenheim Palace at Blenheim Palace in Woodstock, Oxfordshire, England, through December 31, 2017. Designated as a UNESCO World Heritage Site in 1987, Blenheim Palace was built in 1704 to honor John Churchill, the first Duke of Marlborough, in thanks for his victory at the Battle of Blenheim in 1704. The palace is also the birthplace of Sir Winston Churchill. The Blenheim Art Foundation organizes exhibitions within the space and Holzer is the fourth artist to showcase contemporary art at Blenheim Palace. The artist is exhibiting new work directly addressing our military and political history in relation to themes which have figured prominently in her practice since the 1980s: power, conflict and activism. 2017년 9월 22일부터 2018년 1월 21일까지 유럽의 중부 내륙에 위치한 공국인 리히텐슈타인에 위치한 리히텐슈타인 미술관에서 김수자의 대규모 개인전 《Kimsooja. Weaving the World》가 개최된다. 전시제목인 <Weaving the World>는 제목 그대로 ‘세상을 엮는다’는 의미로, 1999년부터 2014년까지의 공연, 설치 작품, 조각, 비디오 및 사진 작품을 통하여 단편적인 관찰을 결합하여 다양한 장소와 사람들의 만남을 형성한다. 시간과 일시성, 그리고 비유적으로 얽힌 개인의 경험, 문화적 배경, 역사적 문헌들은 이 전시의 중요한 역할을 한다. 이번에 전시되는 영상설치 작업 <Thread Routes> 시리즈와 <A Needle Woman (1999-2001)>은 현재와 과거 서로 합쳐지는, 즉 다른 문화와 견해를 함께 가져오려는 김수자의 작품성을 대표적으로 보여준다. 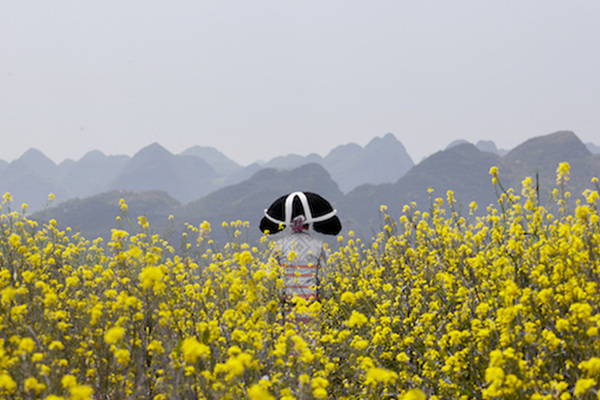 Kimsooja is featured in an extensive solo exhibition titled Kimsooja. Weaving the World from September 22 to January 21, 2018, at the Kunstmuseum Liechtenstein in the Principality of Liechtenstein, a landlocked microstate in Central Europe. As the title suggests, this exhibition is a metaphor for the figurative act of “weaving the world,” as presented through the artist’s performances, installations, sculptures, videos, and photography from 1999 to 2014. Kimsooja unites various fragmentary observations to form chance encounters between places and people. Temporality and the metaphorical complexity of individual experiences, cultural backgrounds, and historical references create the foundation of this solo exhibition. Kimsooja’s video installations Thread Routes series and A Needle Woman (1999-2001) are representative works at the forefront of the artist’s practice, characterized by the merging of the past and present, and the unification of diverging cultures and perspectives. 국제갤러리는 한국화랑협회가 주최하는 제 16회 한국국제아트페어(이하 KIAF)에 참가한다. 2017년 9월 20일 VIP 프리뷰를 시작으로 21일부터 24일까지 서울 삼성동 코엑스 1층 A, B홀에서 열리며, 이번 KIAF 2017에는 31개국 161개의 갤러리가 참여한다. 국제갤러리는 국내작가로는 김용익, 김홍석, 안규철, 양혜규, 이광호, 이우환, 최욱경, 하종현, 그리고 함경아의 작품을 비롯하여 다양한 작품들을 선보이며, 해외작가로는 가다 아메르, 도널드 저드, 마이클 주, 빌 비올라, 아니쉬 카푸어, 우고 론디노네, 장-미셸 오토니엘, 제니 홀저, 줄리안 오피, 그리고 칸디다 회퍼의 작품을 소개할 예정이다. Kukje Gallery will participate in the 16th edition of the Korea International Art Fair (hereafter KIAF), which is organized by the Galleries Association of Korea. One hundred and sixty one galleries from 31 countries will participate in KIAF 2017 which will open with a VIP preview on September 20 and take place from September 21 to 24 in halls A and B at COEX, located in Samseong-dong, Seoul. Kukje Gallery will showcase works by a roster of renowned Korean artists including Kim Yong-Ik, Gimhongsok, Ahn Kyuchul, Haegue Yang, Lee Kwang-Ho, Lee Ufan, Wook-kyung Choi, Ha Chong-Hyun, and Kyungah Ham. Kukje Gallery will also feature works by international artists such as Ghada Amer, Donald Judd, Michael Joo, Bill Viola, Anish Kapoor, Ugo Rondinone, Jean-Michel Othoniel, Jenny Holzer, Julian Opie, and Candida Höfer. 국제갤러리의 김기라, 정연두, 사사, 박미나의 작품이 9월 21일부터 서울역 앞에 설치된 《서울로 미디어캔버스》에 상영된다. 서울시는 2016년부터 ‘서울은 미술관’ 사업을 추진해왔으며 그 일환으로 9월 21일부터 12월 20일까지 ‘서울로 7017’ 옆에 설치된 미디어플랫폼에 전문작가의 미디어아트와 시민 영상작품이 소개되는 <서울로 미디어캔버스>를 진행한다. 미디어아트 작품들은 평일 오후 6시, 주말 오후 5시부터 11시까지 각 작품별 10분 이내로 전시되며, 공모를 통해 선정한 시민영상작품과 시민참여프로그램도 송출된다. Sasa와 박미나는 그래픽디자이너 슬기와 민과 함께 결성한 프로젝트 그룹 SMSM으로 참가하여 공공미술을 통한 치유와 회복의 염원을 담은 작품 <색깔의 힘 7017>을 선보인다. 정연두는 미아동, 신길동, 아현동 등 서울의 재건축지역의 골목길을 촬영하여 소소한 삶의 기억을 기록한 작품 <Building Recollections 기억은 집과 함께 자란다>를 출품한다. 김기라는 김형규 작가와 협업한 <하늘과 바람과 별과 사람의 시_이미지에게 듣는다> 를 통해 불확실한 사회에 대한 시대정신을 담아낸다. 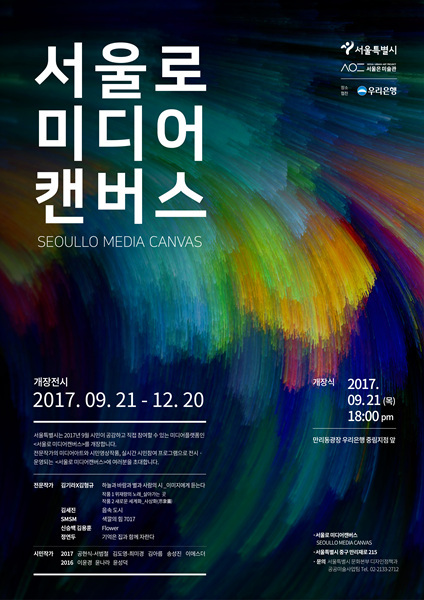 Works by Kira Kim, Yeondoo Jung, Sasa, and MeeNa Park will be screened for Seoullo Media Canvas at the Seoul Station from September 21, 2017. This event is held as part of the ‘Seoul is Museum' project, which the Seoul Metropolitan Government has been spearheading since 2016, and video works by both practicing artists and the public will be introduced at a media platform installed next to Seoullo 7017. Ten minutes of each video work will be on display from 6:00pm on weekdays and 5:00pm to 11:00pm on weekends. Sasa and MeeNa Park are exhibiting as a project collective named ‘SMSM’ that is organized with the graphic designers of the duo Sulki & Min. The group presents the work Power of Color 7017, which frames the desire to heal and encourage social recovery by way of public art. Yeondoo Jung presents Building Recollections, a video work documenting recollections of the everyday life through images from the alleyways of reconstructed areas in Seoul, including Mia-dong, Singil-dong and Ahyeon-dong. Kira Kim has collaborated with the fellow artist Kim Hyung-Kyu to create The Poem of the Sky, Wind, Stars and People_Listening to Images, which presents the zeitgeist of uncertain times. Sky Mirror (for Hendrik), 2017, Stainless Steel, 6.5 x 2.5 x 2 m. Installation View Collection De Pont Museum Tilburg, Courtesy of the artist, Photo by Peter Cox. 아니쉬 카푸어의 새로운 조각작품이 2017년 개관 25주년을 맞이한 네덜란드 틸부르흐의 현대미술관 Museum De Pont에 설치되었다. 1992년 개관한 Museum De Pont은 25주년을 기념하기 위해 틸부르흐 시, 작가 등과 긴밀히 협력하여 제작된 아니쉬 카푸어의 6미터 높이의 스테인리스 설치 조각품 <Sky Mirror (for Hendrik)>을 2017년 9월 공개하였다. 이 작품은 공공 조경사 Sophie Walker가 작품을 위하여 특별히 고안한 미술관 앞의 수생 정원 공간에 설치되었다. 2017년 9월 16일 조각품 공개와 함께 미술관 소장품 그룹전 《ReView》이 개최되어 2018년 2월 18일까지 Roni Horn의 <Pair Field>가 공개된다. A new sculptural installation by Anish Kapoor has been installed in the public garden of the De Pont Museum of Contemporary Art (hereafter De Pont Museum) in Tilburg, the Netherlands, in celebration of the institution’s 25th anniversary. 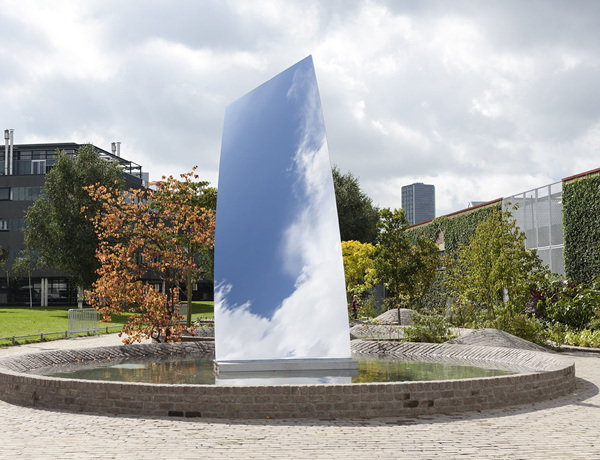 The De Pont Museum, which opened in 1992, has collaborated closely with the City of Tilburg and Kapoor to unveil the 6-meter-high sculptural installation made with stainless steel titled Sky Mirror (for Hendrick). The public garden that houses the installation has been designed by the artist’s wife and landscape architect Sophie Walker to reflect the material properties of the stainless steel work. In conjunction with the announcement of Sky Mirror (for Hendrick) on September 16, 2017, the De Pont Museum opened a group exhibition titled ReView, a comprehensive showcase of the museum’s permanent collection that includes a selection of Kapoor’s work and Roni Horn’s Pair Field. 양혜규는 9월 10일부터 2018년 5월 13일까지 베를린에 위치한 신생 미술기관인 베를린 킨들 현대미술센터에서 장소특정적으로 고안된 블라인드 설치 신작 <침묵의 저장고 – 클릭된 속심>을 전시한다. 킨들 현대미술센터는 매년 작가 한 명을 선정하여 20미터에 달하는 층고가 인상적인 보일러 하우스 공간에 단독작을 선보이며, 스위스 작가 로만 지그너, 벨기에 작가 데이비드 클레어부트에 이어, 올해는 양혜규를 선정하였다. 맥주 양조장이었던 킨들의 보일러 하우스는 산업화 시기의 일면을 엿볼 수 있는 건축물로, 양혜규는 이곳에 미묘하게 각도의 변화를 준 원통형을 기본으로 구성된 블라인드 신작 <침묵의 저장고 – 클릭된 속심>을 설치하면서 초기작부터 다양한 역사적 인물과 지역적 맥락을 추상적인 조각의 발원점으로 삼았던 작가의 태도를 견지하며 건축에 새겨진 시대와 역사를 재해석한다. 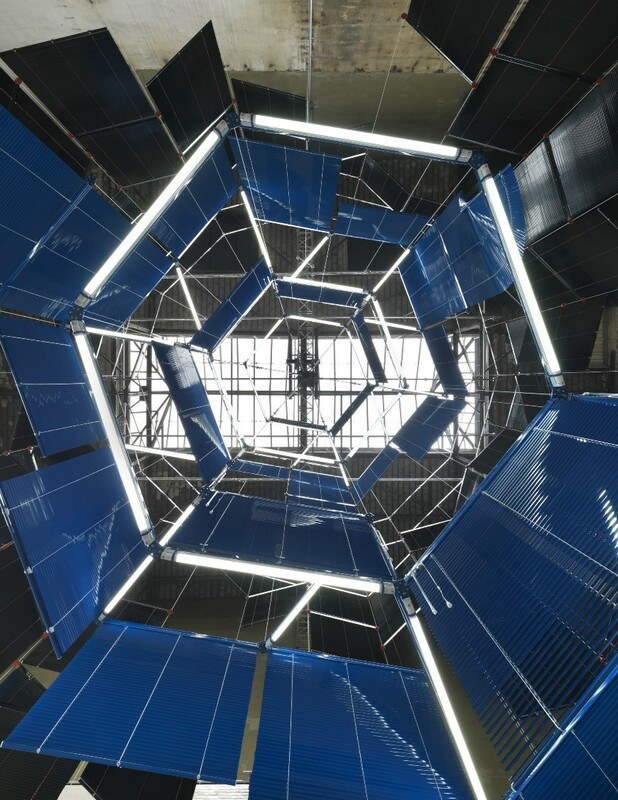 Haegue Yang’s site-specific blind installation Silo of Silence – Clicked Core will be on display at the KINDL –Centre for Contemporary Art (hereafter KINDL) in Berlin from September 10, 2017, to May 13, 2018. Each year, KINDL invites an artist to present an artwork in the 20-meter-high space called the Boiler House, a former brewery presenting an architecture that provides a glimpse of the industrialization that took place when the building was first constructed. Following the Swiss artist Roman Signer and the Belgian artist David Claerbout, Haegue Yang is the third artist selected to adorn the towering space. Yang‘s new blind installation Silo of Silence – Clicked Core is a cylindrical monolith consisting of multiple venetian blinds that are each angled at odds with one another. The installation adheres to the artist’s long-explored subjects of various historical figures and local contexts that provide the source for her abstract sculptures and reinterprets the time and history embedded in the architecture that houses her work. 박찬경은 싱가포르에 위치한 NTU 현대미술센터 (Nanyang Technological University Centre for Contemporary Art Singapore)에서 열리는 그룹전 《Ghosts and Spectres - Shadows of History》에 참가한다. 태국의 Apichatpong Weerasethakul, 싱가포르의 Ho Tzu Nyen, 베트남의 Nguyen Trinh Thi 그리고 한국의 박찬경은 각국의 고유한 문화적, 역사적 배경의 연구를 통해 제2차세계대전과 냉전시대를 겪은 이후의 아시아가 마주한 사회적, 경제적 변화들을 암시하는 비디오 설치작업 및 영상작업들을 선보이며, 박찬경은 2016년 타이페이비엔날레, 2017년 국제갤러리 개인전 및 아트바젤 언리미티드 섹터에서 소개한 <시민의 숲 (Citizen's Forest)>(2016)을 출품한다. Park Chan-kyong is participating in a group exhibition titled Ghosts and Spectres – Shadows of History at the Nanyang Technological University Centre for Contemporary Art in Singapore from September 1 to November 19, 2017. The exhibition features video installations and films by Asian artists including Apichatpong Weerasethakul from Thailand, Ho Tzu Nyen from Singapore, Nguyen Trinh Thi from Vietnam, and Park Chan-kyong from South Korea, illustrating each artist’s research into his own cultural historical backgrounds to re-evaluate the socioeconomic reforms in postwar and post-Cold War Asia. On view is Park Chan-kyong’s Citizen’s Forest (2016), which debuted at the Taipei Biennial in 2016 and thereafter introduced as part of the artist’s solo exhibition at Kukje Gallery and Art Basel Unlimited in 2017.